Transparency and monitoring of your systems is crucial – it allows you to gain insights into what’s going on and allow you to react when things are about to go wrong. Azure Monitor Alerts are one way to cope with that. More than two years ago, I wrote about how you can use Azure Logic Apps to handle your Azure Alerts and this is still how I approach it to this day. 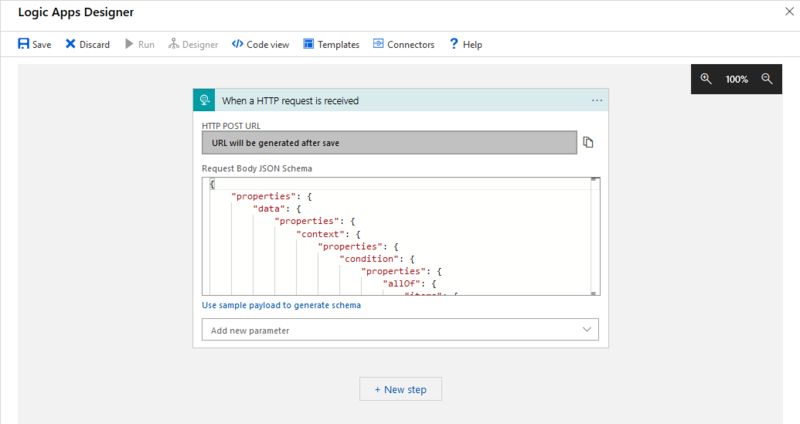 That’s why I’ve submitted a PR with a new Azure Logic Apps template that helps you get started quickly by adding a HTTP trigger with the alert contract already specified for Azure Monitor Metric Alerts. No more excuses not to handle those alerts! How you handle your alerts is up to you, but now you are already able to start receiving the webhook notifications. Still using Azure Classic Alerts? Time to move it! Are you still using Azure Classic Alerts? Those are now officially deprecated and are retiring by June 2019 so it’s time to move it! However, the alert payload has changed so if you have an alert handler already you’ll need to migrate that one as well. 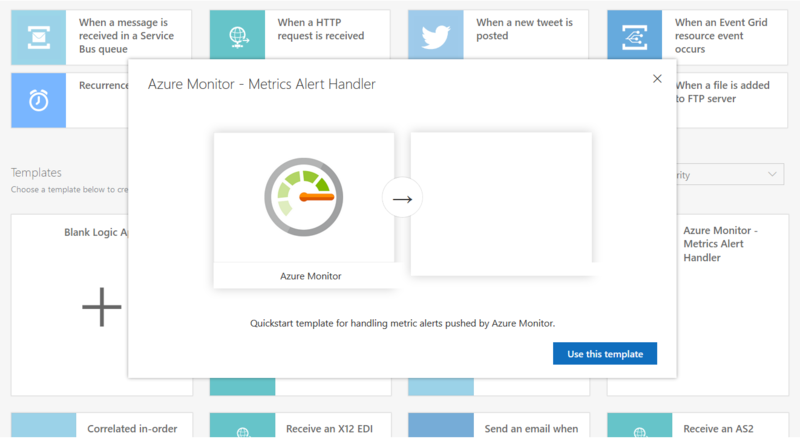 One approach is to map the old format to the new one and simply call your new alert handler as mitigation until all your Classic Alerts are recreated with the new Azure Monitor Alerts.